Getting your dog to be a reliable hunting partner is a process through which you need to ensure that he or she gets the best training in order for you to make an amazing team together. If your dog understands exactly what needs to be done in every situation, you will both enjoy your time together at its fullest for many years to come. 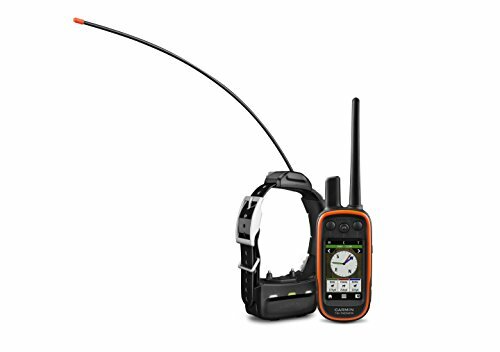 This is where Garmin’s model comes in handy given its Tri-Tronics technology that allows you to guide and recall your dog from a significant distance. Moreover, even once the training is over, you still need to keep track of your dog’s whereabouts on the field for successful hunting days. The tracking function can be definitely useful even for dogs who don’t go hunting since it can quickly locate your pet and keep him or her away from any potential dangers. This Garmin dog tracker uses a high-sensitivity GPS with GLONASS technology in order to ensure the most effective results right away. With its help, you won’t need to worry about where your dog is no matter the circumstances, which in turn allows you to have a better overall experience and keep your little friend safe. In order for such a device to be effective, it needs to be easy to use and to allow quick reactions on your part, and Garmin’s Alpha 100 TT model fits the bill. The collar should be simply placed and adjusted on your dog’s neck, like any other one. The only trick is that the sensors should be placed where they make good contact with the skin if you intend to use the training electronic functions. As for the receiver that remains in your hands, an intuitive menu makes it easy to navigate, while a wide range of functions gives you many training and guidance options. Moreover, its display has a 3-inch diagonal which makes it easy to read but small enough to remain handy and lightweight. The Alpha 100 TT comes with preloaded TOPO U.S. 100K maps, meaning that you will always be aware of your surroundings and that there’s little chance you will be taken by surprise no matter the area you are in. Plus, this also allows you to track your dog and guide him toward those areas where there a higher chance the game might hide. The maps also allow you to set up virtual boundaries and get immediate alerts if your dog strays out of them so that you can recall him or her right away. 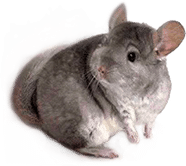 This way you are constantly aware of what is going on and you don’t need to spend time looking for your furry friend, especially if a potentially more dangerous situation arises. If you are a professional trainer who needs a solution that can accommodate up to 20 dogs, then this device might be the right solution. You can use the compass screen to get in-depth information such as speed, direction, and distance on each of the dogs you’ve selected. This also means that you can correct one dog’s behavior without doing so for the others. Plus, you can keep any and all of the dogs on track, using the Tri-Tronics electronic training technology that surely comes in handy especially in those situations where one dog’s wrong reaction could influence another’s, such as chasing the game when it’s not right. With a battery life that lasts between 20 and 40 hours, depending on how the unit is being used, the device will most probably have enough for an entire hunting day. The chance of needing any additional recharging as you are with your dog out in the field is very slim. Plus, if you don’t need to send signals and recall your dog as often, you’ll be able to use it without any concern. Many of the reviews show that customers are very happy with this product and with the way it performs since it basically brings them peace of mind, as they are constantly aware of where their dogs are. Most of the users live in areas where there’s plenty of running space and their dogs enjoy it all day long. Some also mention that the three levels of stimulation included to correct behavior are more than enough and that the third one should be used for critical situations mostly, such as the dog running toward the road. The other two are useful in other situations where a mild correction is needed. The area that can be defined on the map is another of the features dog owners use very often, as the fact that the device sends an automatic notification definitely comes in handy. This function is not used as often during a real hunting day, but for this situation, the fact that the device can track other hunters and their dogs as well is surely appreciated. Some of the less positive aspects mentioned by the users are the device’s high initial cost that might pose a problem for some dog owners, as well as the fact that the collar unit’s antennae can get scratched rather easily as the dog runs through vegetation. Also, the user’s instruction manual could be a bit more clear and comprehensive on the information it offers. 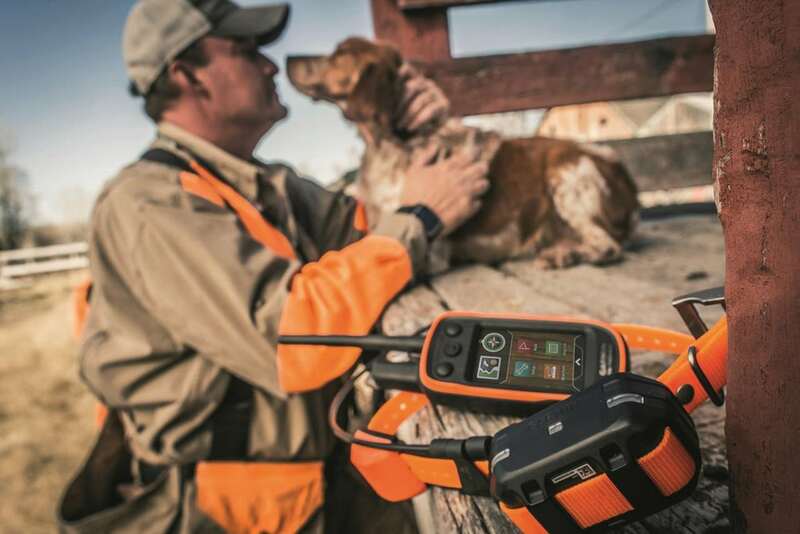 Given the many features it comes with and the benefits it offers, the Alpha 100 TT is an excellent device for hunters, as well as for regular dog owners. The stimulation technology that allows you to correct your dog’s behavior is useful especially if there’s a training process through which you are both going through. Moreover, the area defined on the map, as well as the collar device’s waterproof capability are definitely appreciated by dog owners who use this device to track their pets in various areas. The device can also be used when you are traveling with your pet since the transitions can sometimes make room for out-of-the-ordinary situations where the dog might get stressed out and run.